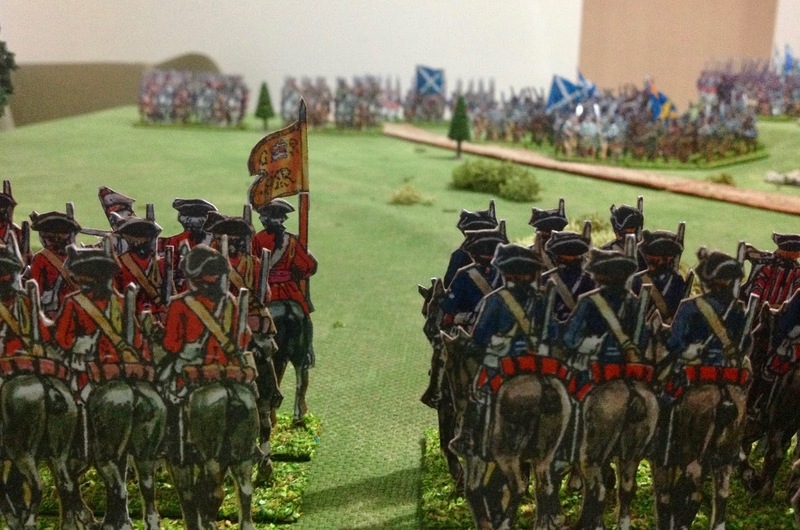 I am about two-thirds the way through completing my Jacobite Raising of 45 paper armies. I should be having a game in the next couple of weeks once I complete a few artillery, commanders, and British infantry units. To motivate myself I decided to get all completed units onto the tabletop to see how they look. The figures are from "Wargame the Jacobite '45" paper soldier book by Peter Dennis. 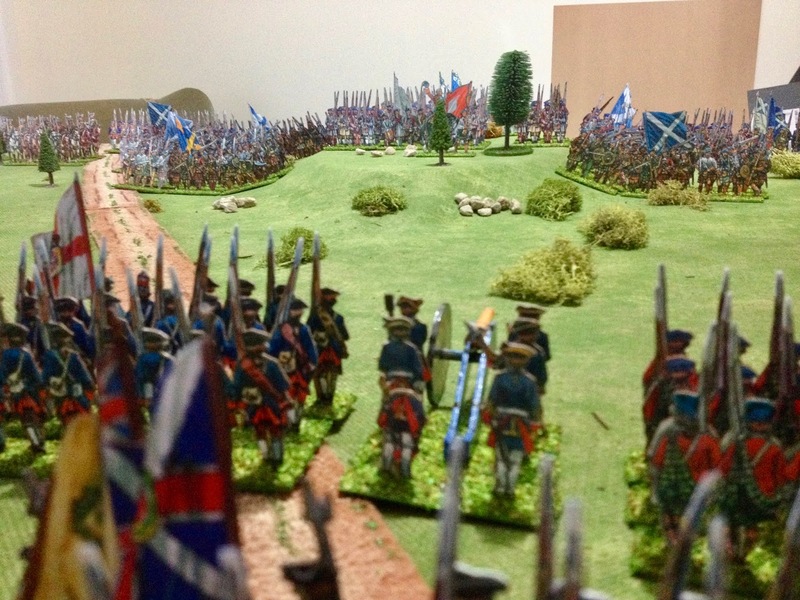 I chose to increase the original 28mm sized figures to 42mm. 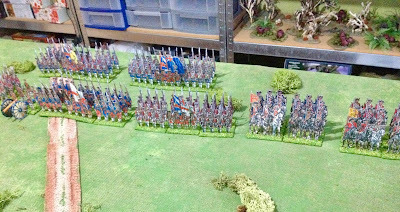 Players dice to decide who shoots first with units rolling a number of dice based upon the number of bases they have and adjusted for unit type and quality. Casualties are recorded and a base removed after every three casualties. The fight stage is similar to shooting and deals with charges and melee and dice rolls are again based upon the unit type and number of bases. Movement like shooting is diced for to determine which player moves first, with move distances being variable for some units. Unit discipline triggered in certain situations, such as when a base is lost, and units can become shaken or rout. 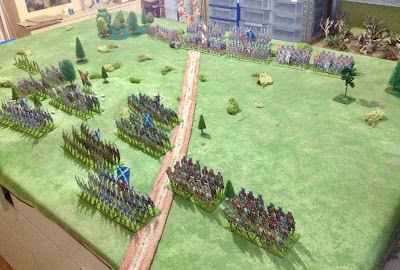 They do make very attractive armies. Thank you. 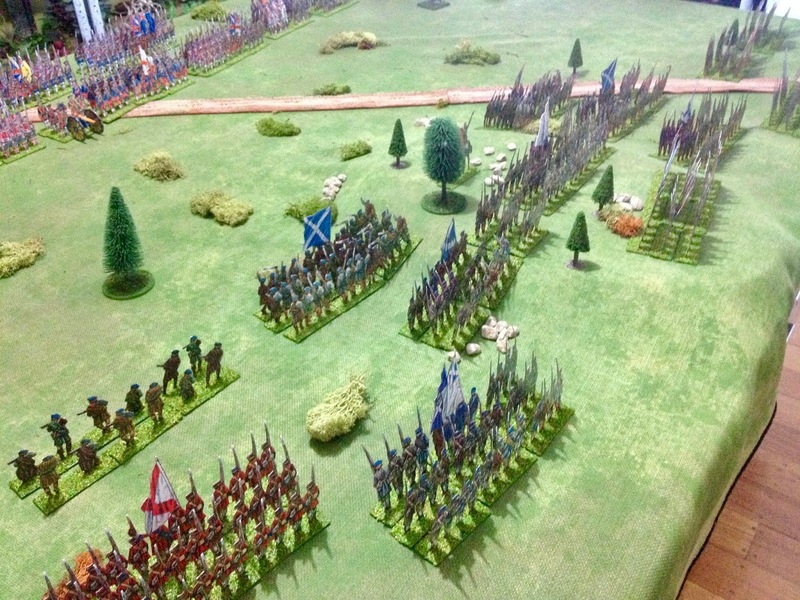 Making the figures larger in my view helps to show of Peter Dennis' artwork. Thanks. The three rows on most units help the look. The Gentlemen above have already said it! Looks great Peter! These look simply superb Peter. 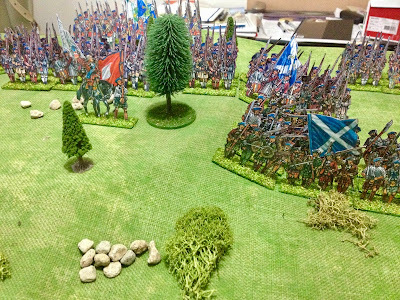 Will look very good in action and the rules look very interesting. Thanks. I am looking forward to trying the rules and having a wargame with these. They really do look great Peter, I have been so tempted to try some myself. How do you find the cutting out? When copying the figures I increase the size from A4 to A3 paper which is 144 percent of the original size, or 42mm figures. I find cutting this size much better. The original 28mm figure size is too fiddly for me.